In the past four weeks, it seems like one thing after another has happened around here. First, the tom turkey heard wild hens off in the woods, and for two days he refused to go into the coop. He slept up on the top of it, and the third day he went into the woods to find the hens he was hearing and hasn’t come back. Then the truck started running funny when we were coming back from picking up the pigs in Kentucky. Long story short, it was the wheels and the nuts which only needed tightened, but then the mechanic discovered that the drive shaft was bent. Luckily they had somebody there who could fix that without installing an entire new drive shaft. After that the washer and dryer broke. They both had to be replaced. Finally, the oven blew up! It felt like I was playing that game of life that used to be really popular in the 80’s and 90’s. It was like I kept pulling out one bad card after another, and it really started getting me down. I found myself waking up every morning, thinking, “What else could go wrong today?” before I even put my feet on the floor. That’s definitely a pessimistic attitude, and that’s definitely not me! The truck is fixed, and I have a new washer and dryer. The turkey may be gone, but there’s always a chance that he will lead back an entire flock of hens, and then my flock might triple in size. And today my new stove was delivered! This was my fourth choice on my list, but the top three weren’t even possible because they started out in price at $6,000. That’s wishful thinking, and it just wasn’t going to happen. 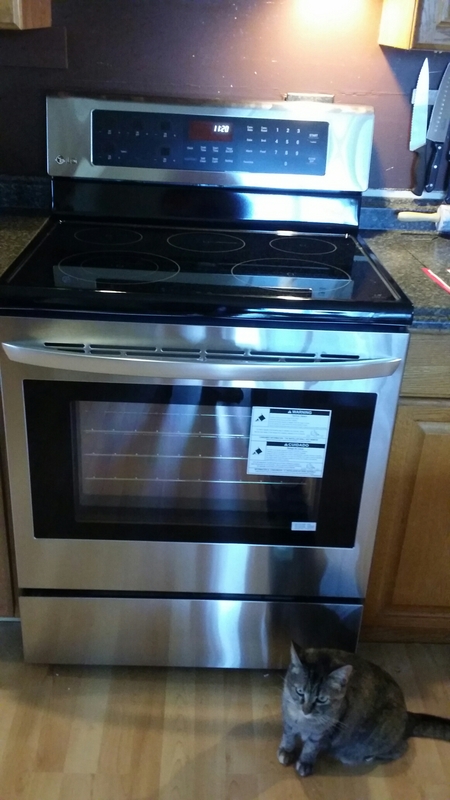 I did find this gorgeous LG stove and oven though, and they were about 30% off. This was the stove I wanted years ago but couldn’t afford. Look at the inside! 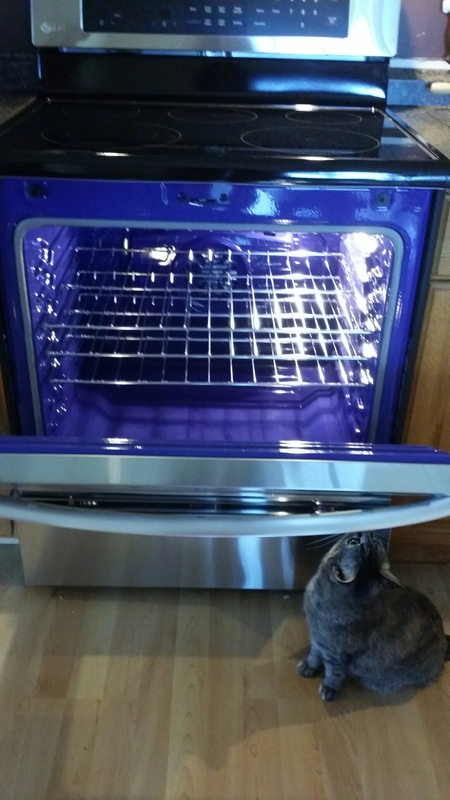 It’s a beautiful blue enamel, and it’s a convection oven! It has three racks! It’s one of the biggest ovens in my price range! I can not wait to use this thing at Thanksgiving! Looking at the inside of that blue oven, I suddenly felt very ashamed of how I’ve been feeling inside. Bad things happen. In the overall scheme of life, the things that happened over the past month here are tiny things. They just put a little cramped in the finances. They were material things, and I don’t know why I let it bother me so much. I am very blessed that we were able to replace the items that needed replaced and fix the truck without taking out loans. Sometimes it’s just too easy to let the little things get us down. I have my husband, my children, my family and friends, and a home. I have people I can count on, and I’m living in my hometown where I can go to the store and run into people I grew up with and talk to them about trivial things and about our lives, and I can leave feeling connected. I can’t help but think about the people, the refugees, the ones who no longer have anything that really matters and who are suddenly thrust into new places where many of the people they see look at them and then look through them like they are invisible, or worse – treat them horribly simply because of who they are. I feel blessed today, and it’s sad that it took some blue enamel in an oven to make me feel that way. Awwww! Love your new oven. My dishwasher & fridge all decided to die in December this year. I’m with you – it’s no biggie.